A Midcentury Modern nightstand dates from about 1950. Walnut with matched burl panels has an excellent restored finish. 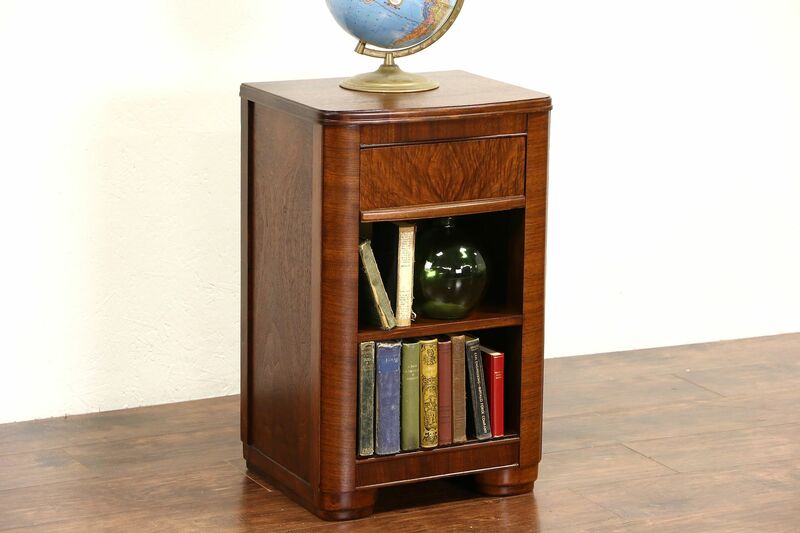 American made vintage furniture, there is no maker's signature. The drawer has dovetailed joints. Size is 17" wide, 15" deep and 27" tall. See 16 photos on Harp Gallery website that enlarge to full screen size. Matching pieces sold separately, call or email for availability. Please call or e-mail for an independent shipping quote.